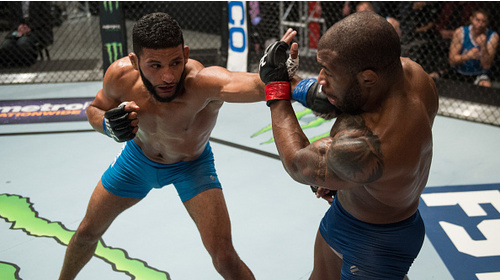 In a special 25th season, 14 welterweights from past seasons of The Ultimate Fighter return to Las Vegas for a second chance in the competition. At stake is the biggest prize in the show’s history… $250,000. 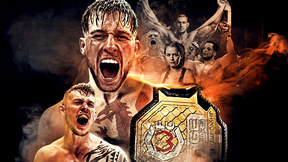 TUF 25 Ep.1 Redemption May 18, 2017 (1:28:29) Fourteen welterweights from past seasons of The Ultimate Fighter return to the UFC training center for a second chance in the competition. 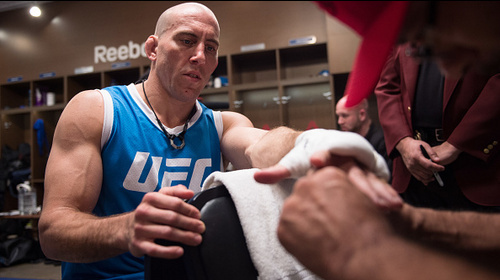 Some have heartbreaking stories of defeat, others underachieved in the UFC, but all are in search of redemption. 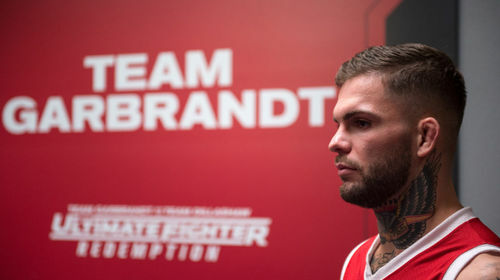 After the fighters arrive, Dana White brings in the coaches, UFC bantamweight champion Cody Garbrandt, and former bantamweight champion and TUF alum, TJ Dillashaw. 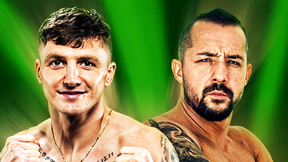 Former training partners turned bitter rivals, the coaches start the competition by picking their teams and announcing the first two fights, which will happen on the same day. TUF 25 Ep.2 Eat Some Souls May 26, 2017 (43:19) All hell breaks loose at the gym as the coaches confront each other over their contentious history. Then two veterans of the sport take their first steps toward redemption as they face off in the second preliminary fight. TUF 25 Ep.3 Iron Sharpens Iron Jun 2, 2017 (42:36) One fighter explains his struggles to overcome the mistakes of his past, while another opens up about the sacrifices he’s made for his future in MMA. Then, former training partners face off in the third preliminary fight. TUF 25 Ep.4 Piece of Us Jun 9, 2017 (43:17) The blue team finds a peculiar way to celebrate TJ’s birthday. 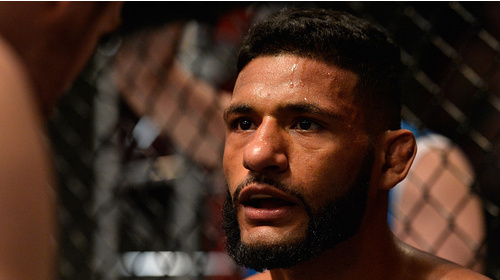 Cody brings several UFC stars to the fighter house. Then, one of the favorites in the competition goes up against an underdog in the fourth preliminary fight. TUF 25 Ep.5 A Brutal Business Jun 16, 2017 (43:33) Cody puts his team through an innovative training technique to help improve their endurance. Then, close friends are forced to fight each other in the fifth preliminary matchup. TUF 25 Ep.6 Let me Bang! Jun 22, 2017 (43:30) Two fighters recall the hardships they’ve had to overcome throughout their careers. A contentious weigh-in leads to another altercation between the coaches. Then, the sixth preliminary fight determines the next quarterfinalist. TUF 25 Ep.7 Dark Horse Jun 30, 2017 (43:46) In a touching moment at the house, one fighter tells the others about a tragic family event that changed his life forever. 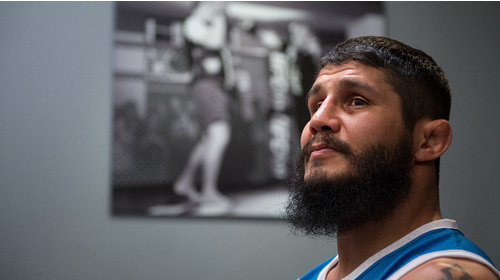 The next day, we learn how another fighter juggles training with a unique career back home. 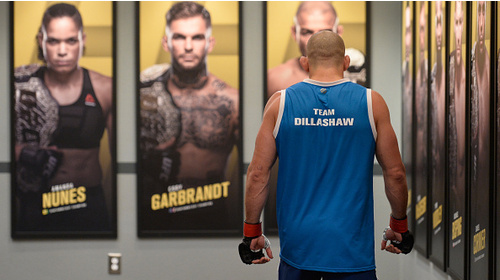 Team Garbrandt and Team Dillashaw’s last remaining welterweights face off in the final preliminary fight. Then Dana calls the coaches into his office to discuss potential picks for the wildcard fight, and the matchup is announced. TUF 25 Ep.8 Kryptonite Jul 7, 2017 (43:36) There’s only one quarterfinal spot left to be filled and the two fighters selected for the wildcard matchup waste no time getting back to training. 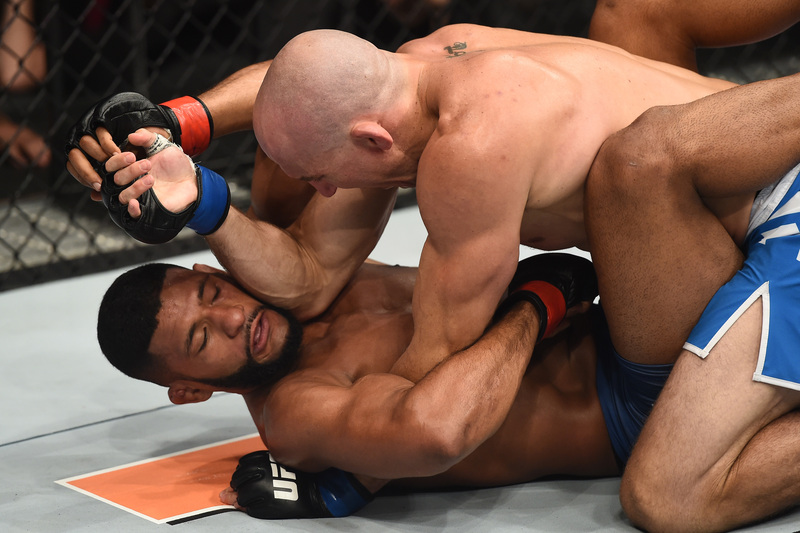 The coaches put all their energy and attention into helping the two welterweights correct their weaknesses in order to avoid another loss. 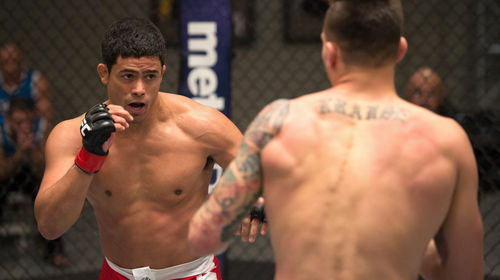 One fighter prepares to throw high volume while the other works on movement in order to set up his takedowns. At the weigh-in, things take an unusual turn as a competitor makes a special request to both teams. The wildcard bout delivers a stunning result and everyone comes together during an emotional moment after the fight. The coaches and teams get together to announce the quarterfinals and the fighters face off to kick off the next phase of the tournament. TUF 25 Ep.9 Killashaw Jul 14, 2017 (43:47) A prank war heats up between the teams. The coaches take the fighters out for a night on the town. Then, teammates face off in the second quarterfinal fight. TUF 25 Ep.10 Time to Smash Jul 21, 2017 (44:01) Four welterweights compete for the remaining semifinal spots in two thrilling back-to-back fights. 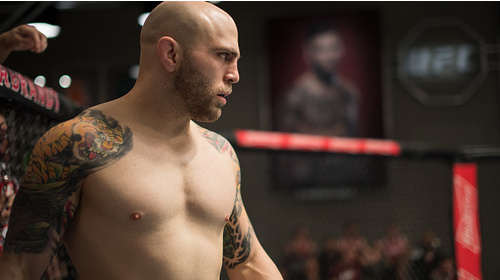 The animosity between the coaches goes too far at the weigh-ins. Then Dana White picks the semifinal matchups. 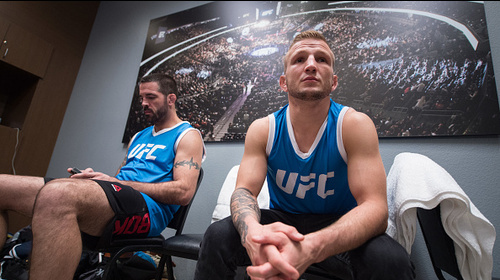 TUF 25 Ep.11 Embrace the Snake Jul 28, 2017 (44:01) Team Dillashaw pranks Team Garbrandt with live snakes. 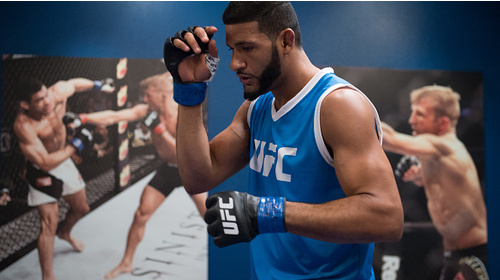 With an injury putting his fight future in doubt, one athlete in the house gets paranoid. 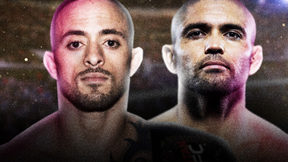 Then, two welterweights face off in the first semifinal fight. TUF 25 Ep.12 The Winner’s Circle Aug 3, 2017 (43:45) With only one finale spot left to be claimed, a semifinalist races against the clock to recover from injury. 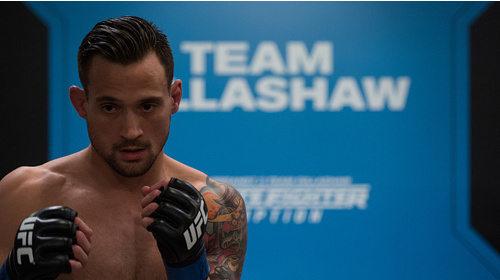 Then, a heated altercation shakes up the Ultimate Fighter house. 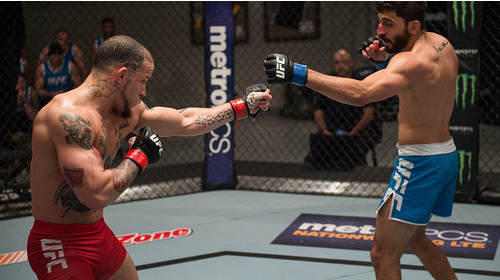 Finally, two fighters face off in the last semifinal matchup. Jesse Taylor vs Dhiego Lima TUF 25 Finale Jul 7, 2017 (14:32) Jesse Taylor vs Dhiego Lima The Ultimate Fighter 25 Finale from July 7, 2017 in Las Vegas, Nevada. TUF 25 The Ultimate Fighter Redemption: Bonus Material Aug 3, 2017 (1:04:33) Check out deleted scenes from The Ultimate Fighter 25: Redemption.